The Winnetka Fireplace sale model is a contemporary mantel design carved from limestone. This fireplace is designed to accentuate your room with bold lines and elegance without overwhelming the space. 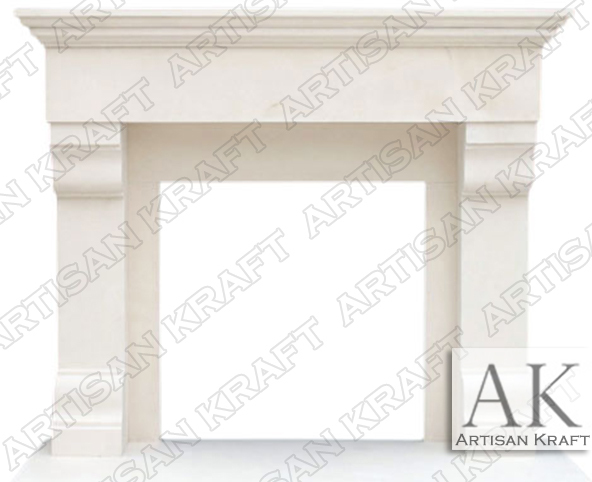 Sandstone is another great natural stone option for this traditional style surround. Visit the gallery to view this very design made from cast stone installed in a country club. The hearth and the several pieces of inner paneling is provided with this sale price. Limestone is a very strong and beautiful stone. It is a metamorphic rock that has been fromed by heat, time and pressure. The additional cost is well worth it. For a lower cost you can purchase sandstone. For even less you can get it in cast stone which is made from a limestone aggregate.